Lawmakers in Toronto have introduced a measure that may require landlords there to install air conditioning. Because the weather over the past two years has been characterized by an increased number of hotter days in May and June, the measure would ease the current restrictions placed on landlords regarding the provision of heat, and shift the requirement to capping maximum temperatures in rental units. Toronto’s Municipal Code currently requires that landlords turn on the heat in rental housing units from September 15th to June 1st. Room temperature must be maintained to at least 21 degrees Celsius (70 degrees Fahrenheit). 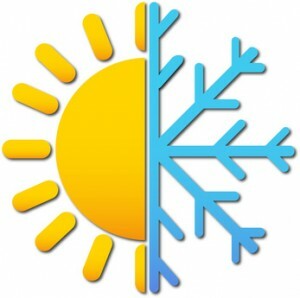 However, councillors point out that enforcement by date rather than by temperature may result in a tenant’s unit becoming too warm as summer approaches. This, they say, would not only be uncomfortable, but could present a public health issue to the elderly or tenants with certain medical conditions. The measure would relieve landlords of the responsibility regarding heat through June 1, and instead, set a maximum temperature limit to which rooms can be heated. The City Manager has been directed to study the measure, and to consult with both landlords’ and tenants’ organizations towards this goal of regulating the maximum allowable room temperature in rentals.